This rectangular tile combines a polished top with a high sheen and elegant white tones in a luxurious stone look to create a perfect ambience for a variety of decorative schemes. SOLD BY BOX OF 16 SQ. FT. 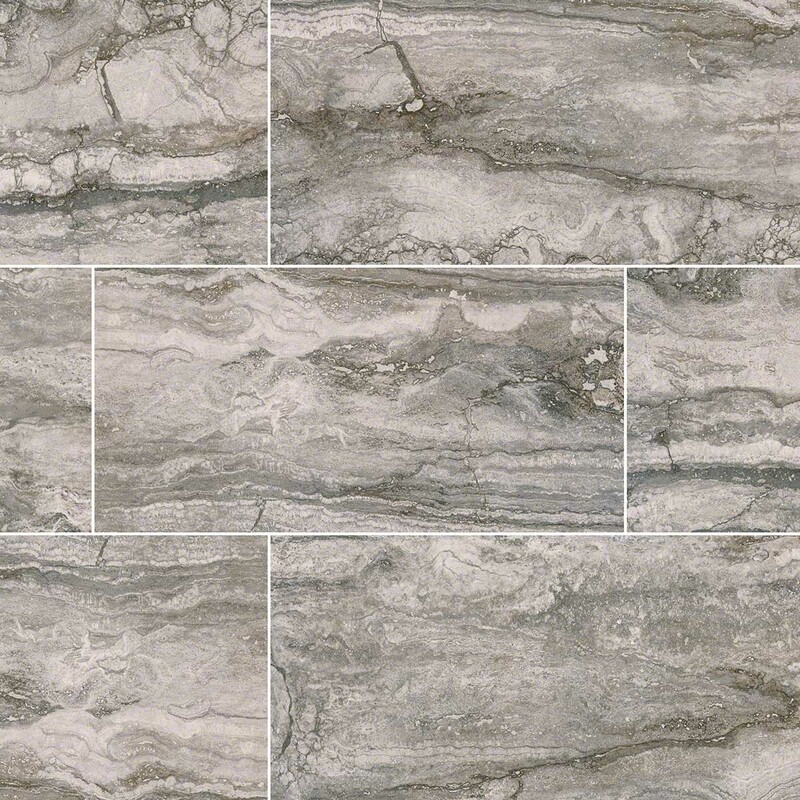 Incorporate a touch of stylish aesthetic with the Pietra Bernini Carbone 12 in. x 24 in. Porcelain Floor and Wall Tile. This rectangular tile combines a polished top with a high sheen and elegant white tones in a luxurious stone look to create a perfect ambience for a variety of decorative schemes. This tile is constructed from durable porcelain material and has a polished finish to provide a contemporary decor option. The tile features an impervious water absorption rating that is suitable for installation on walls, floors and countertops. Use matching trim tile or a combination of field tile for the design that best suits your space and preferences.